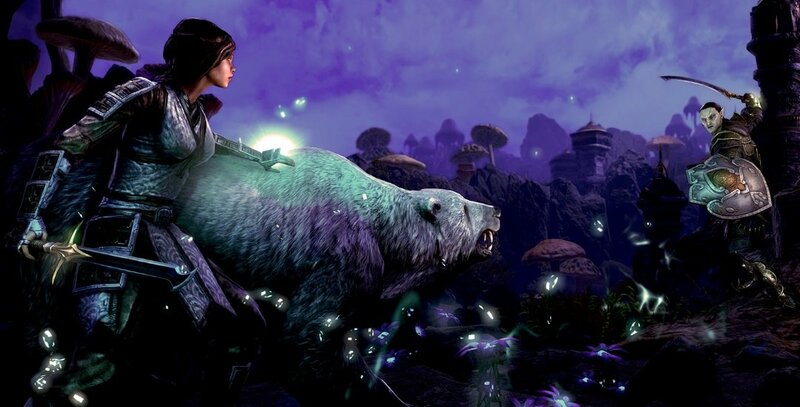 The Elder Scrolls Online has announced new Crown Store items are imminent. 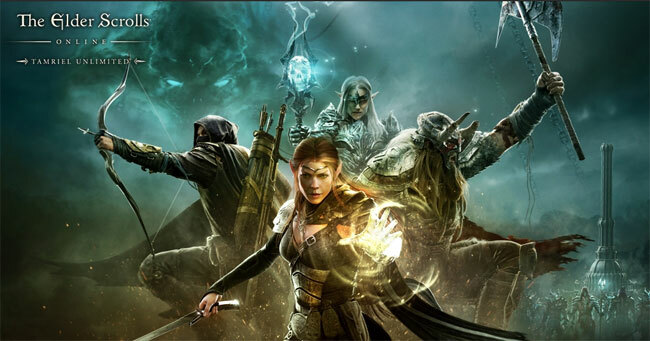 Players of The Elder Scrolls Online know The Thieves Guild DLC is out now on all platforms and nearly all of the new offerings for March are available, making way for a plethora of new, optional purchases in April. It will cost a few Crowns to have three new costumes, two new mounts, and two new pets if you want to own them, but, you will enjoy the game more. In The Elder Scrolls Online, April's selection of new armor includes three different Elven designs. Leather mid-length skirts and halter tops are both featured in yhe Graht-Climber's Active Wear and the Doeskin-and-Chamois Woods Wear. The latter even displays sea-beads and few extra adornments, according to the official NPC description on the official website. On April 14, both of these new costumes will be available. Elven Hero Armor is the third new armor coming to the game. The Elven Hero Armor is a costume based on the armor seen in The Elder Scrolls Online cinematic. Only in a limited time from April 7 through April 11, The Elven Hero Armor will only be available. Any member of the Aldmeri Dominion would be proud to do this dark green tunic with metal and leather accents. Of course, these new costumes are just a few of the new items coming to the Crown Store in April. A few new mounts and pets are also expected to release throughout the month as well. With the exception of just one guar, all the new pets and mounts coming in April are cats. The Pale Velothi Guar is a sight to be seen, though, with its light lavender hide. This guar mount will only be available for a few days, however. Be sure to pick up this guar between April 21 and April 25 before it leaves the Crown Store. On the feline side of things, a new male lion mount and two new senche pets are coming to The Elder Scrolls Online in April. First in the month, the new Moonlight Senche-Tiger pet will be available for purchase on April 7. This white tiger companion is said to know things no other tiger could know. Like all pets, the Moonlight Senche-Tiger will follow the player closely but not participate in combat. On April 28, the new Pride-King Lion mount and the Senche-Lion Cub will come to the Crown Store. These two new lions definitely bring a hint of majesty and playfulness to the game. The Pride-King Lion is seemingly the male version of the Senche Lioness. With a lush mane and gorgeous tan coat, any player would be filled with honor atop this beast. Accompanying the Pride-King Lion's arrival on the Crown Store is the Senche-Lion Cub pet available on the same day. Said to make enemies "burn from the cuteness," this pet stays out of harm's way while journeying with a player but the cub definitely brightens the spirits of everyone it sees. 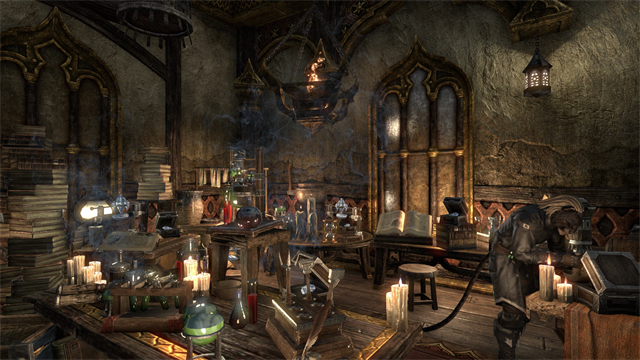 The Crown Store in The Elder Scrolls Online has one more item from its March offerings to come before the month ends. New Assistants are coming tomorrow offering their unique services from anywhere in the world. As The Inquisitr reported, these Assistants take the place of a pet but offer great utility and service to those that summon them. 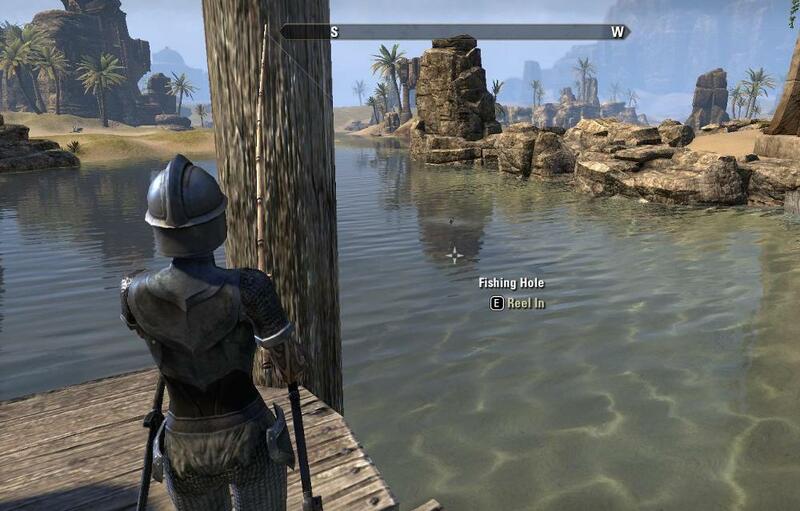 Like Pirharri, the smuggler unlocked for completing the Thieves Guild main quest, these new Assistants can be summoned nearly everywhere to offer their service. A banker Assistant and a merchant Assistant are coming to the Crown Store on March 31 and each one is a whopping 5,000 each. Also on April 28, Tte Senche-lion Cub will be available on all platforms.